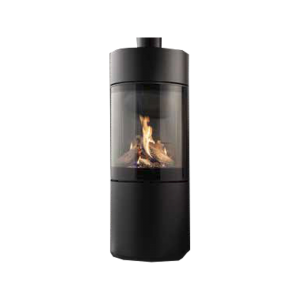 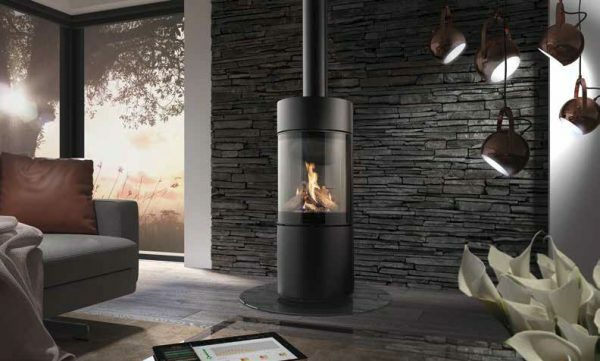 This cool free-standing 180 degrees view gas fire catches the eye thanks to its large round glass window. 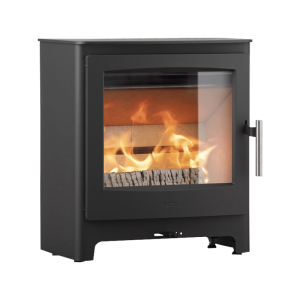 The flame patterns can be regulated by means of the integrated Eco Wave technology. The glowing effect at the bottom of the gas fire and high-stacked logs create a beautiful fire. 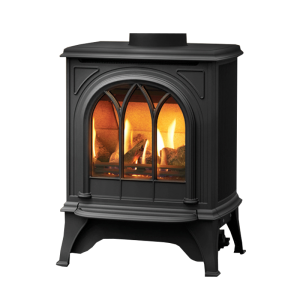 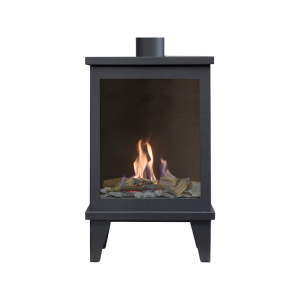 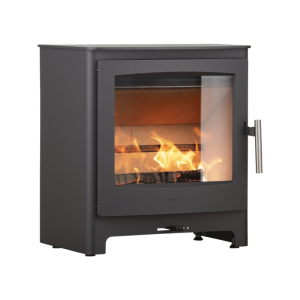 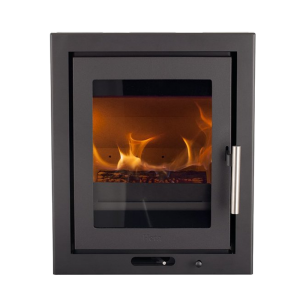 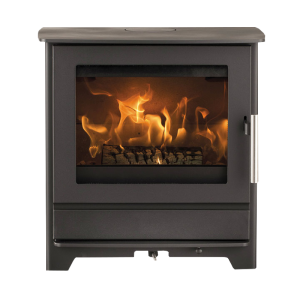 The gas fire can be operated with a remote control or through your smartphone or tablet.